Black And White Wedding Dress Ideas - There is a mixing of colors that you can wear on your wedding dress, namely black and white. Indeed, the white is a color which symbolizes the purity of a marriage, then what would happen if it is combined with black color? The black color itself is always considered as the color of mourning and grief. However, it does not always refer to the meaning of it, but also can have a sense of timeless, classic, strong, elegant, and sophisticated. 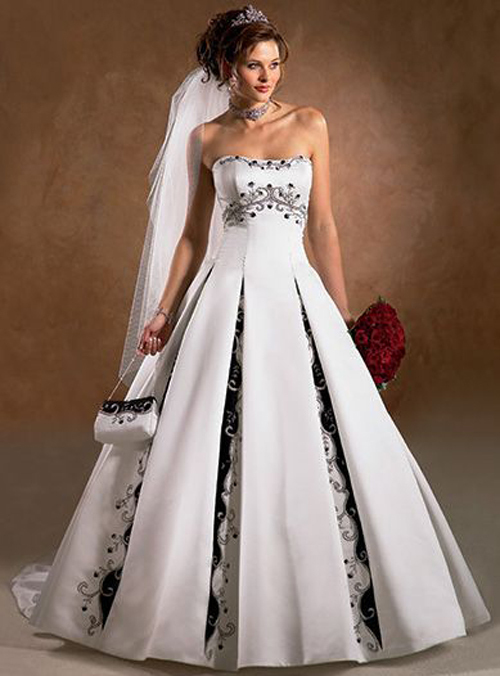 The black and white color is poured in the wedding dress. Well, when you've decided to use a combination of both of these colors, you can use white as the dominant color. While the black color is used as a supplement. It aims in order to not eliminate the sacred impression of your marriage. 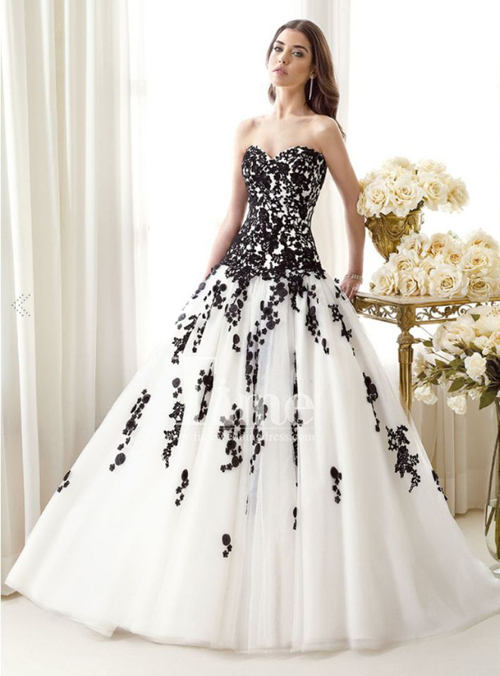 You can play the black color on your dress as the adornments. For example, it is applied to the flower ribbon decoration and so forth. Of course, you have to make sure it to be fit with your personality and your body shape. Any color will you apply on your gown, the important thing is that you feel comfortable with the dress. 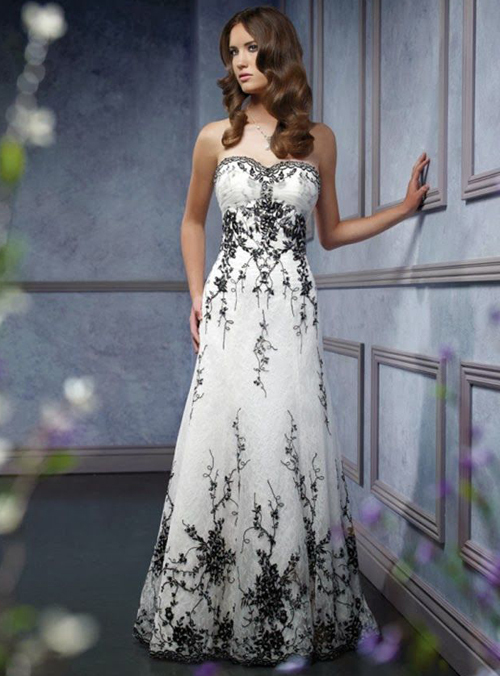 Especially when choosing a black and white wedding dresses tries to make it looking elegant.